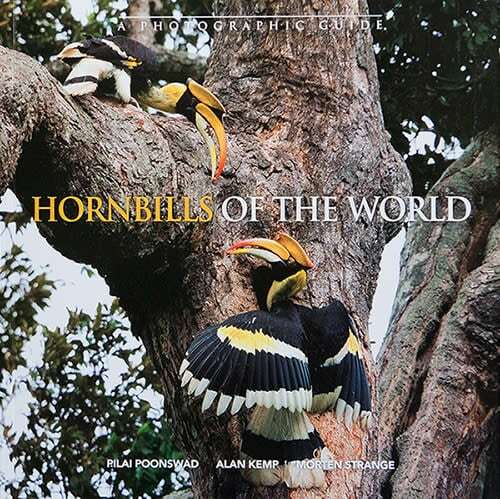 Hornbills Of The World is a photographic guide that gives descriptions of all the species and other general information like their unique breeding behavior. Tim’s photographs are used for most of the Asian species of hornbills. This soft cover book is by Dr. Pilai Poonswad of Thailand, Dr. Alan Kemp of South Africa and Morten Strange from Singapore.